Item Discontinued when Current Stock Sold Out! Print personalized images on fabric using your computer and color ink jet printer. 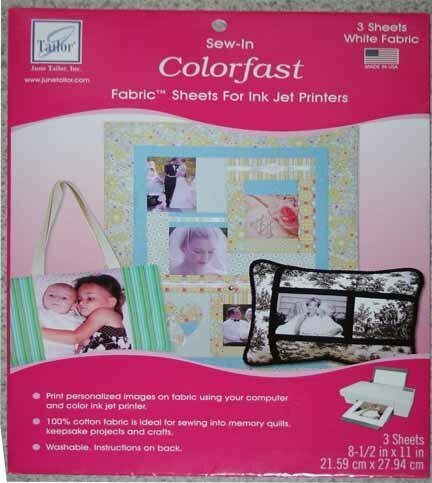 Ideal for sewing into memory quilts, keepsake projects and crafts. 100% white cotton fabric. Washable. Three sheets per package. 8 1/2" x 11" each.